Meet one of the most famous national parks in Chile in 5 days with a group of more travelers guided by an expert in the area. Stay in fully equipped shelters and let yourself be carried away by the breathtaking landscapes of the Chilean Patagonia. Our tour will begin at 11:30 AM with a technical talk in Puerto Natales led by the guide who will accompany the group during the adventure. Later, at 2:00 pm, we will meet at the Puerto Natales rodoviario to start our trip, taking the bus toeards the Laguna Amarga port, where we will complete the entrance process. A transfer will take us to the welcome center located in the sector of Estancia Cerro Paine. There we will have dinner and sleep in shelter, preparing for the next day. This day we will have breakfast very early to start the W route towards the emblematic Base Torres viewpoint. It is one of the most difficult days due to the number of kms that we will walk and the unevenness of the trails. During the first part, we will trek through the pampas and crossing the Ascencio River, then go up about 3 km until we reach the Paso de los Vientos, from where we will have incredible views of the valley and lakes. We will continue until we reach the Chilean Refuge, and then enter a forest of lengas to get to La Morrena. This is where the hardest part of the trekking begins. We will walk along a rocky path until we reach the spectacular Mirador Base Torres. We will have lunch and enjoy the scenery before descending towards the Central Sector to dine and sleep in the refuge. Our day will be more relaxed compared to the previous one, we will walk less hours to move from the Central Sector to the French Sector. After breakfast, we will walk around 13.5 km bordering the Nordenskjöld lake, the Almirante Nieto hill and the impressive Cuernos del Paine. During the trip we will have beautiful views of the hanging glaciers, lakes and ideal areas to appreciate the abundant flora and fauna of the park. A tip for those who want to observe animals iis to brings binoculars because, if we are lucky, we can spot the culpeo fox or the birds that inhabit the sector. We will rest and sleep in the shelter of the place. This day we will walk to the famous Valle del Francés for the day, returning to the Paine Grande refuge again. After breakfast we will start with a gentle walk through a valley surrounded by trees until we reach the Italian Camp. From there we will start the ascent (about two kilometers) through forests through the valley of the French River, the most difficult part. We will continue until we reach the French viewpoint, from where we can have one of the most breathtaking images of the circuit: the view towards the valley flanked by the Paine Grande, Cathedral, Leaf, Mask, Sword, Shark Fin and Northern Horn hills. Here we will have lunch, taking advantage of the landscape, and return to the Paine Grande Refuge to rest. Our last day begins with an early breakfast so we can make the path to the Gray Refuge. We will walk along the Paine Grande hill, the highest point of the Massif (3050 m), with incredible views towards its hanging glaciers. Walking among ñirres, coigües and notros, we will reach the first viewpoint of the Gray Glacier, from where we will see numerous pieces of glacier floating in the lake of the same name. We will continue walking with the imposing view of the Gray glacier, until arriving at the Gray Refuge. From there we will have a frontal view of the glacier that will leave you breathless. We will have lunch and begin the return to Paine Grande to take the catamaran that will take us to Pudeto at 6:30 pm. There we will wait for the bus that will take us back to Puerto Natales, where we will say goodbye. Opening hours Puerto Natales sales office: Monday to Friday: 9.00 – 13.00 / 15.00 – 19.00; Saturday: 9.00 – 19.00; Sundays & holidays: Closed. Regular Buses from Punta Arenas to Puerto Natales: if you need this service please ask a sales executive. From how to get to Torres del Paine, to if there is wifi in the shelters of the W circuit. These are the most popular destinations in Chile among photographers and Instagram users. 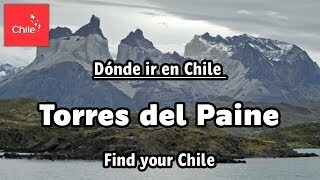 If you are thinking about knowing the best trails in Chile, here we will tell you about the trekking routes you have to do this year. If you are thinking of a trip to the Chilean Patagonia, we recommend you do some of these experiences. 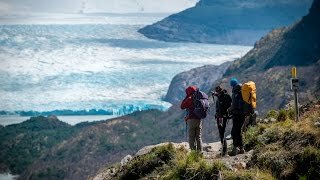 Adventure Tourism in Chile: What excursions to carry out?